On September 11, 2001, the criminally negligent behavior of senior members of the George W. Bush administration led to the deaths of 3,000 Americans. On the evening after the September 11 attacks, President Bush held a private meeting with Richard Clarke, the counter-terrorism advisor to the National Security Council. Secretary of State Colin Powell then pointed out there was absolutely no evidence that Iraq had had anything to do with 9/11 or Al Qaeda. And he added: “The American people want us to do something about Al-Qaeda”–not Iraq. In 1940, Adolf Hitler had salivated for a war against the Soviet Union even while he was locked in mortal combat with England. Now, 61 years later, Bush couldn’t wait to invade Iraq even before his armies had pacified Afghanistan. Even more important: Saddam had tried to monitor Al Qaeda through his intelligence service–because he saw Al Qaeda and other theocratic radical Islamist organizations as a potential threat to his secular regime. January 7, 2003: Rumsfeld told a Pentagon news briefing, “There’s no doubt in my mind but that they currently have chemical and biological weapons.” This certainty was based on contemporary intelligence, he said, not the fact that Iraq had used chemical weapons in the 1980s. Republicans claim to be “deeply troubled” by the conduct of Susan Rice, the American ambassador to the United Nations, after the Benghazi tragedy, which left four dead Americans in its wake. But they showed no such concerns when the George W. Bush administration refused to seriously address the mounting evidence that Al Qaeda intended to strike at the United States. And when that refusal snuffed out the lives of 3,000 Americans. Nigel Hamilton is the bestselling author of American Caesars: Lives of the Presidents from Franklin D. Roosevelt to George W. Bush. In his chapter on George W. Bush, he chronicles the futile struggles of counter-terrorism chief Richard Clarke to warn his superiors of an upcoming Al Qaeda attack. As chef counter-terrorism advisor to President Bill Clinton, he had held cabinet-level access. But now he faced a serious handicap: Although he retained his position under Bush, he was now denied such access. This put him at a severe disadvantage when dealing with higher-ranking Bush officials–-who refused to believe that Al-Qaeda posed a lethal threat to the United States. National Security Advisor Condoleeza Rice initially refused to hold a cabinet-level meeting on the subject. Then she insisted the matter be handled only by a more junior Deputy Principals meeting in April, 2001. “Al-Qaeda plans major acts of terrorism against the United States,” Clarke warned his colleagues. Disgustingly, these are the same officials who, afterward, posed as the Nation’s saviors-–and branded anyone who disagreed with them as a traitor, practices Republicans continue to use to this day. Only Richard Clarke-–who had vainly argued for stepped-up security precautions and taking the fight to Al Qaeda–gave that apology. It’s important to remember those who made 9/11 not simply possible but inevitable. And that does not mean only the 19 hijackers who turned those planes into fuel-bombs. It means those officials at the highest levels of the administration of President George W. Bush. Officials who profited economically and/or politically from the tragedy but were never accountable for the resulting death and destruction. Starting with the former President himself. Even at the Republican National Convention in Tampa in August, Bush was hailed as the man “who kept us safe.” Except, of course, for that small matter of 3,000 dead Americans on 9/11. British historian Nigel Hamilton has dared to lay bare the facts of this outrage. Hamilton is the author of several highly acclaimed political biographies, including JFK: Reckless Youth, and Bill Clinton: Mastering the Presidency. Clarke had been thus appointed in 1998 by President Bill Clinton. He continued to hold this role under President Bush, but with a major difference: The position was no longer given cabinet-level access. National Security Advisor Condoleeza Rice. In a perverse travesty of justice, Condoleeza Rice appeared as a featured speaker at the 2012 Republican National Convention that nominated Mitt Romney for President. “I will never forget the bright September day, standing at my desk in the White House, when my young assistant said that a plane had hit the World Trade Center–and then a second one–and a third, the Pentagon. Hamilton noted that Richard Clarke was certain that Osama bin Laden had arranged the [USS.] Cole bombing in Aden on October 12, 2000. During the first eight months of the Bush Presidency, Clarke was forbidden to brief President Bush, despite the mounting evidence that al-Qaeda was planning to strike. Republicans in the Senate and House of Representatives are once again on a witch hunt. This time, their intended victim is Susan Rice, United States ambassador to the United Nations, and a possible successor to Secretary of State Hillary Clinton. With the re-election of President Barack Obama, Clinton is not expected to stay on during his second term. And the reason for the witch hunt? On September 11, a terrorist attack on the United States diplomatic mission in Benghazi, Libya, left four Americans dead–including U.S. Ambassador Christopher Stevens. Hours before the Benghazi violence, a mob had attacked the U.S. Embassy in Cairo in response to a “blasphemous” anti-Muslim video posted on YouTube. Appearing on several political talk-shows just days after the attack, Rice attributed the attacks to the video. Later investigation showed it was the work of an Al Qaeda terrorist cell. The Benghazi attack came on the 11th anniversary of the Sept. 11, 2001 terror attacks on New York and Washington, D.C., which killed about 3,000 Americans. Republicans–and especially then-Presidential candidate Mitt Romney–charged that the Libya assault was clearly a terrorist attack aimed at the anniversary. Republicans have since demanded that President Obama abandon any plans he might have to nominate Rice as Clinton’s replacement as Secretary of State. “As a senior U.S. diplomat, I agreed to a White House request to appear on the Sunday shows to talk about the full range of national security issues of the day, which at that time were primarily and particularly the protests that were enveloping and threatening many diplomatic facilities, American diplomatic facilities around the world, and Iran’s nuclear program. “When discussing the attack against our facilities in Benghazi, I relied solely and squarely on the information provided to me by the intelligence community. I made clear that the information was preliminary, and that our investigations would give us the definitive answers. “Everyone, particularly the intelligence community, has worked in good faith to provide the best assessment based on the information available. “…I knew Chris Stevens. I worked closely with him and had the privilege of doing so as we tried together, as a government, to free the Libyan people from the tyranny of [Libyan leader Moammar] Kadaffi. “He was a valued colleague, and his loss, as well as the loss of his three colleagues, is a massive tragedy for all of us who serve in the U.S. government, and for all the American people,” said Rice. Rice is no diplomatic lightweight. She is a former Brookings Institute fellow, and served on the staff of the National Security Council and as Assistant Secretary of State for African Affairs during President Bill Clinton’s second term. She was confirmed by unanimous consent of the Senate as America’s ambassador to the UN on January 22, 2009. Yet, on November 19, almost 100 House Republicans sent President Barack Obama a letter, urging him to not nominate her as Secretary of State. They argued that Rice’s credibility had been irreparably damaged by her statements coming after the Libya attacks. “Dear Mr. President,” the letter opened. “We, the undersigned, are deeply troubled by your current comments that you are considering Ambassador Susan Rice to succeed Hillary Clinton as Secretary of State. “…We believe [Rice’s] misleading statements over the days and weeks following the attack on our embassy in Libya that led to the deaths of Ambassador Stevens and three other Americans caused irreparable damage to her credibility both at home and around the world. “In her interviews over that time, Ambassador Rice propagated a falsehood that the attacks were ‘spontaneous,’ the outcome of a protest ‘spun out of control’ and the result of a YouTube video. “Only on September 19–eight days after the attack–did the American people learn from National Counterterrorism Director Matthew Olson that the intelligence services quickly considered the attack an act of terrorism and that Al Qaeda may have played a role. “We believe that making her the face of U.S. foreign policy…would greatly undermine your desire to improve U.S. relations with the world,” the letter concluded. Dianne Feinstein, the Democratic U.S. Senator from California and chairwoman of the Senate Intelligence Committee, told NBC’s “Meet the Press” that Rice had solid reason to not label the Benghazi attack a terrorist mission. That view, said Feinstein, was based on information that had not yet been cleared by intelligence officials for public release. But that didn’t make any difference to Rice’s critics. Republicans claim to be “deeply troubled” by Rice’s behavior after a tragedy that left four dead Americans in its wake. But they showed no such concern when the George W. Bush administration refused to seriously address mounting evidence that Al Qaeda planned to strike inside the United States. Oligarchy: a government in which a small group exercises control, especially for corrupt and selfish purposes. Sheldon Adelson, Las Vegas Sands | $10,000,000 to Restore Our Future from Shel and his wife Miriam | #8 on Forbes 400, $24,900,000,000 Net Worth. John Catsimatidis, United Refining Company | $100,000 to Restore Our Future (through United Refining) | #212 on Forbes 400, $2,000,000,000 Net Worth. Paul Singer, Elliott Management | $1 Million to Restore Our Future | #416 on Forbes, $1,000,000,000 Net Worth. Harold Hamm, Continental Resources | $985,000 to Restore Our Future | #36 on Forbes 400, $11,000,000,000 Net Worth. Wilbur Ross, WL Ross & Company | $100,000 to Restore Our Future | #200 on Forbes 400, $2,200,000,000 Net Worth. be treated with awe and reverence. The oligarchs wait for Election Day! Right-wingers are still reeling from the election-night defeat of Mitt Romney, their nominee for Plutocrat-in-Chief. Thus, many high-ranking Republicans are now looking for excuses for the stunning setback they suffered. President Barack Obama “suppressed the vote”–through negative campaigning. Hurricane Sandy took people’s attention away from Romney’s message. New Jersey Governor Chris Christie actually praised Obama for the help FEMA gave to the storm’s victims. The fact-checkers were out to get Romney. The news media were out to get Romney. At least, that was Adolf Hitler’s take on the war. And it made sense–if you were a German who didn’t want to blame Germany for starting a war it could not hope to win, only to be defeated by the armies of France, Britain and the United States. Similarly, the far-Right leadership of the Republican Party refuses to accept any blame for the loss. large numbers of voters generally were outraged by the party’s blatant efforts to suppress voting rights. Since Republican leaders seem unwilling to learn from their mistakes, only one course lies open to them: Repeat those mistakes. And that means finding another “severely conservative” candidate to run for President. But who might be “conservative” enough to gain the support of the right-wingers controlling the Republican party? Perhaps the science of cloning can provide the answer. By 2016, scientists may have perfected cloning–and thus allow Republicans to create their ideal Presidential candidate. The top officials of the Republican Party decide to create the perfect, unbeatable Presidential candidate. They direct scientists from the National Institute of Health to resurrect–via DNA samples–several past, hugely popular Republican leaders. The first of these, of course, is Abraham Lincoln: Savior of the Union and destroyer of slavery. The scientists then introduce him to a sample of Republican voters to gauge his current popularity. The test audience erupts–but not the way party officials expect. To head off a riot, the scientists rush the startled Lincoln-clone off the stage. Then they introduce their next resurrected candidate: Theodore Roosevelt: warrior, Nobel Prize winner and trust-busting conservationist. Once again, there is a near-riot as startled Republican officials hustle Roosevelt out of the building. Finally, they bring out their third choice for victory: A cloned Ronald Reagan. Desperate, Republican leaders go into a huddle. So the Republicans once again call in the scientists and tell them to go back to work one last time. “All right, all right, I’ll do it,” says the clone-candidate. ”But the last time I tried to lead people to greatness, they proved unworthy of me. 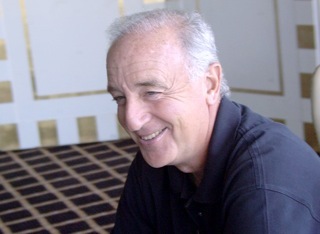 Alumnus of the United States Military Academy at West Point–graduating among the top 5% of his 1974 class. General George C. Marshall Award winner as the top graduate of the U.S. Army Command and General Staff College class of 1983. Earned an M.P.A. in 1985 and a Ph.D. in International Relations in 1987 from the Woodrow Wilson School of Public and International Affairs at Princeton University. Completed a fellowship at Georgetown University. Graduate of the United States Military Academy at West Point in 1995, majoring in political geography. Earned a master’s degree in international security from the University of Denver’s Joseph Korbel School of International Studies in 2006. Earned a Master of Public Administration from the John F. Kennedy School of Government at Harvard University in 2008. A Research Associate in the Kennedy School’s Center for Public Leadership Fellows. Entered the Ph.D. program at the Department of War Studies at King’s College in London in 2008. In addition, Petraeus, as director of the Central Intelligence Agency, knew the importance of secrecy in keeping clandestine affairs (military and personal) out of sight. And so did Broadwell, having earned a reputation as an expert on counterterrorism. Why, when they embarked on an extramarital affair, did they exchange emails using a cyber trick known to both terrorists and teenagers? Why, in fact, did they flagrantly violate the First Rule of Conspiracies? First, the moronically stupid cyber trick: Sharing a private email account, or “dropbox,” where they composed drafts to each other in order not to directly transmit messages to one another. Each could log onto the same account and read the draft emails there. This avoids creating an email trail that is easier to trace. Second, the First Rule of Conspiracies says: If you don’t want it known, don’t write it down. I have heard many wise men say that you may talk freely with any one man about everything, for unless you have committed yourself in writing, the “Yes” of one man is worth as much as the “No” of another. And therefore one should guard most carefully against writing, as against a dangerous rock, for nothing will convict you quicker than your own handwriting….You may escape, then, from the accusation of a single individual, unless you are convicted by some writing or other pledge, which you should be careful never to give. Nor are Petraeus and Broadwell the only ones guilty of thumbing their noses at this most basic of precautions. The top American commander in Afghanistan, General John Allen, is under investigation for “inappropriate communications” with Jill Kelley, a Florida socialite who complained to the FBI that she was receiving harassing emails. Although charged with directing American military efforts against the Taliban, Allen found time to exchange 20,000 to 30,000 pages’ worth of emails with Kelley between 2010 and 2012. For many private-sector employers, reading and sending personal emails on company time is a firing offense. There are several lessons to be learned for this behavior–none of them flattering to the above-mentioned participants . They all believed they were so privileged–by education, status and/or wealth–that conventional rules of morality didn’t apply to them. They all believed they were so clever they could violate the most basic rule of security and common sense–and get away with it. They all were so caught up in their illicit passions that they threw caution to the winds. David Petraeus, a highly disciplined man, clearly expected Paula Broadwell to behave in a similarly disciplined manner–and do nothing to compromise their lives. Petraeus didn’t imagine that Broadwell suspected another of his admirers–Jill Kelley–of having romantic designs on him. And he was utterly surprised when her harassing emails to Kelley led the FBI to uncover his illicit relationship. General David Petraeus testifies at his hearings before the Senate Intelligence Committee to become CIA director. With him: His wife, Holly (in white) and mistress, Paula Broadwell (in black). So far as is known, Petraeus broke no law–other than the law of common sense. For that, he has suffered the loss of position, reputation and–possibly–a marriage of 38 years. Steven Spielberg’s Lincoln is more than a mesmerizing history lesson. It’s a timely reminder that racism and repression are not confined to any one period or political party. True, Lincoln, in 1862, had issued the Emancipation Proclamation. This–in theory–freed slaves held in the Confederate states that were in rebellion against the United States Government. And the House is filled with men–there are no women menmbers during the 19th century–who seethe with hostility. Some are hostile to Lincoln personally. One of them dubs him a dictator–“Abraham Africanus.” Another accuses him of shifting his positions for the sake of expediency. In fact, the possibility that blacks might win voting rights arises early in the movie. Lincoln is speaking to a couple of black Union soldiers, and one of them is unafraid to voice his discontent. He’s upset that black soldiers are paid less than white ones–and that they’re led only by white officers. He says that, in time, maybe this will change. Maybe, in 100 years, he guesses, blacks will get the right to vote. “Who are dependent upon government, who believe that–-that they are victims, who believe that government has a responsibility to care for them, who believe that they’re entitled to healthcare, to food, to housing, to you name it. And how lucky we are as a nation to have the outcome of the 2012 election. Consider the events of November 9. Prior to this, Petraeus had been the golden boy of the American Army–the best-known and most revered general since Dwight D. Eisenhower. It’s a scene you couldn’t imagine seeing in John Wayne’s 1960 film, “The Alamo.” Especially with The Duke playing a hard-drinking, two-fisted Davy Crockett. 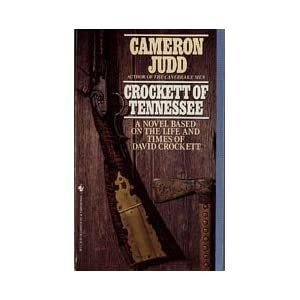 But it occurs in the novel, Crockett of Tennessee, by Cameron Judd. And it is no less affecting for its being–so far as we know–entirely fictional. It’s the last night of life for the Alamo garrison–the night before the 2,000 men of the Mexican Army hurl themselves at the former mission and slaughter its 200 Texian defenders. The fort’s commander, William Barret Travis, has drawn his “line in the sand” and invited the garrison to choose: To surrender, to try to escape, or to stay and fight to the death. And the garrison–except for one man–chooses to stay and fight. That man is Louis “Moses” Rose, a Frenchman who has served in Napoleon’s Grande Armee and survived the frightful retreat from Moscow. He vaults a low wall of the improvised fort, flees into the moonless desert, and eventually makes his way to the home of a family who give him shelter. But for the garrison, immortality lies only hours away. Or does it? An hour after deciding to stand and die in the Alamo, wrapped in the dark of night, Crockett is seized with paralyzing fear. “I know you are, Davy,” says Tarr. ”So do all these men here. That’s why you’re going to get past this. During the War of 1812, he served as a scout under Andrew Jackson. His foes were the Creek Indians, who had massacred 500 settlers at Fort Mims, Alabama–and threatened to do the same to Crockett’s neighbors in Tennessee. And his presence during the 13-day siege of the Alamo did cheer the spirits of the vastly outnumbered defenders. It’s a matter of historical record that he and a Scotsman named MacGregor often staged musical “duels” to see who could make the most noise. Contrast this devotion of Crockett to the rights of “the little men,” as Persius Tarr called them, with the attitude of the Republican candidate for President in 2012. “Who are dependent upon government, who believe that–that they are victims, who believe that government has a responsibility to care for them, who believe that they’re entitled to healthcare, to food, to housing, to you name it. “But that’s–it’s an entitlement. And the government should give it to them. And they will vote for this president no matter what…. Those who give their lives for others are rightly loved as heroes. Those who dedicate their lives only to their wallets are rightly soon forgotten.